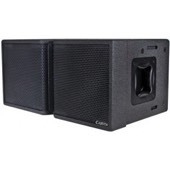 Midsize tri-amplified 3 way high directivity line array. Dual 12” woofers, quad 6” mids, and dual 1.5” HF drivers. 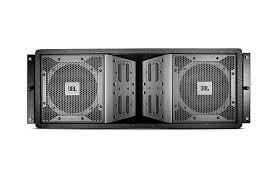 Compact bi-amplified 3-way high directivity line array. Dual 8” woofers, quad 4” mids and dual 1” HF drivers. The Virtual Array System’s true 3-way design dramatically improves the quality of vocal reproduction while its cone-driven midrange horn and horn loaded woofer extend pattern control into the lower octaves. Offers excellent pattern control, easy over-head suspension with safe and practical rigging hardware, as well as a simple ground stacking design and full technical documentation.